A man in Hayward was shot by police late Saturday after he shot two people and then pulled out a gun in front of officers, police said. The triple shooting occurred in the 27000 block of Mandarin Avenue around 11:30 p.m., police said. Arriving officers found a male suspect in the street near a residence where several 911 calls were made. That suspect proceeded to brandish a firearm, prompting police to shoot the man "several times," police said. After conducting a preliminary investigation, police learned that the suspect previously shot a 17-year-old girl and a man outside a nearby home, according to police. The girl was treated at a nearby hospital and released, but the male victim and suspect remained hospitalized in stable condition as of Sunday morning, according to police. 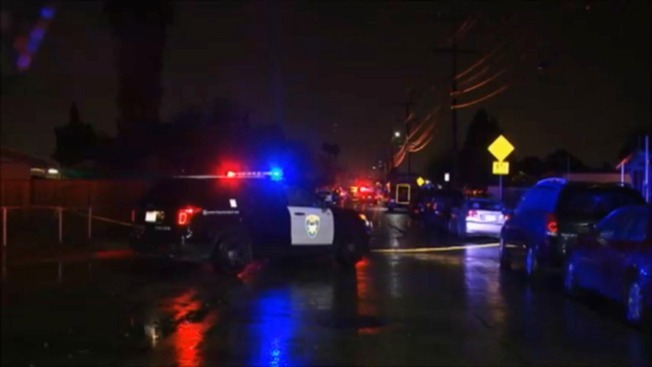 The officers involved in the shooting were not injured, but they were placed on paid administrative leave while a thorough investigation is conducted by the Hayward Police Department's Criminal Investigations Bureau and the Alameda County District Attorney's Office. Anyone with information regarding the shooting is asked to contact Detective Trevor Vonnegut at 510-293-7034 or email haywardpdtips@hayward-ca.gov.